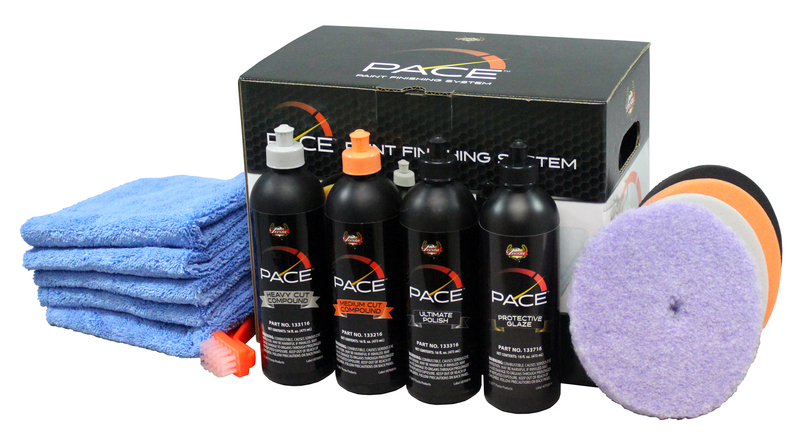 The PACE™ Starter Kit combines the ease of use of an orbital with compounds that can finish in one step. 1 PACE™ Heavy Cut Compound - 16oz. 1 PACE™ Medium Cut Compound - 16oz. 1 PACE™ Ultimate Polish - 16oz. 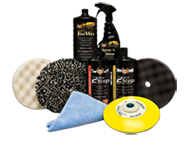 1 PACE™ Protective Glaze - 16oz.